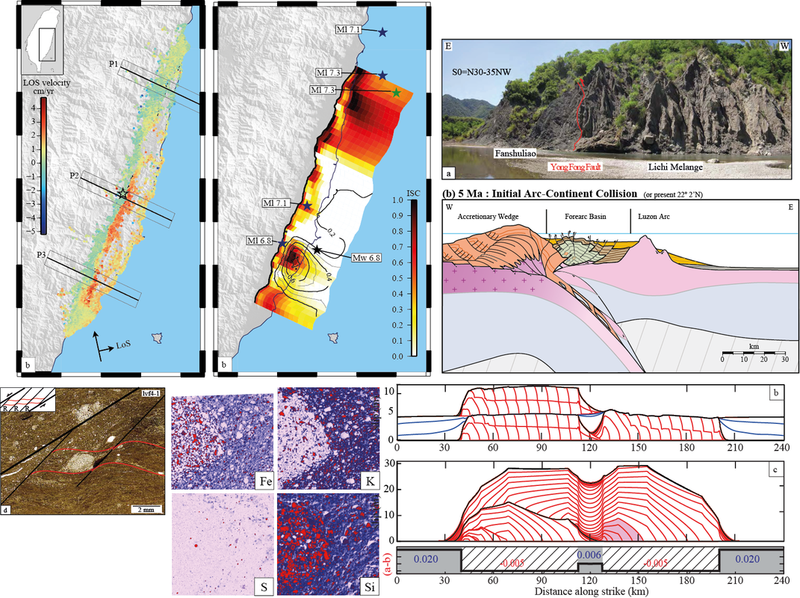 Spatialtemporal variation of fault slip behavior (seismic/aseismic) is a key factor determining the spatial extent, size and timing of earthquake ruptures. The goal of my research is to undertsand the spatial and temporal variation of fault and off-fault properties and how does that impact the seismogenic potential of faults. I study earthquakes and active faults by combining remote sensing techniques, structural geology and mechanical modeling. In particular, I focus my research on measuring the time evolution of surface deformation using geodetic techniques. The goal is to determine the spatialtemporal variations of fault slip to reveal fault patches which remain locked, accumulating stress to be released in future earthquakes and patches which undergo aseismic creep. I then compare the fault properties infered from kinematic studies with those determined from structural analysis of fault zones. The third part of my work is to relate theses geogical and geodetic observations to mechanical models of the seismic cycle. In particular I investigate the interplay between earthquake ruptures dynamic and off-fault damage and how does the temporal evolution of fault and bulk properties impact the seismic behavior of fault. Inference on frictional properties from geodesy and dynamic modeling.